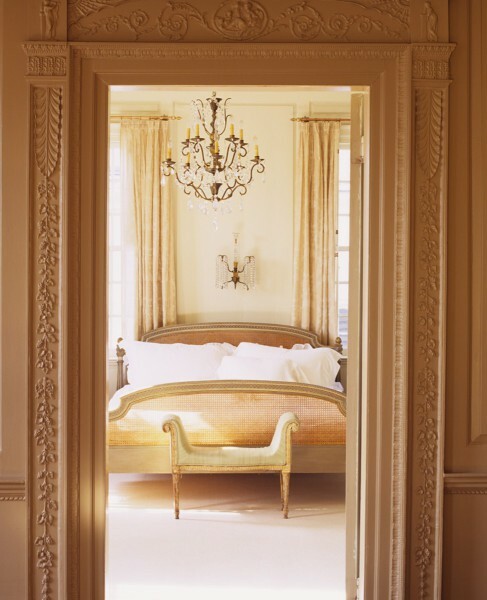 This boudoir is completely peaceful and elegant. With intricate moldings, glistening crystal lighting, crisp white sheets and earth tone colours . . . what more does this dreamland need?